Every year, Nintendo holds a meeting where investors can ask the company’s top executives whatever they’d like. And every year, the questions are pretty much priceless. 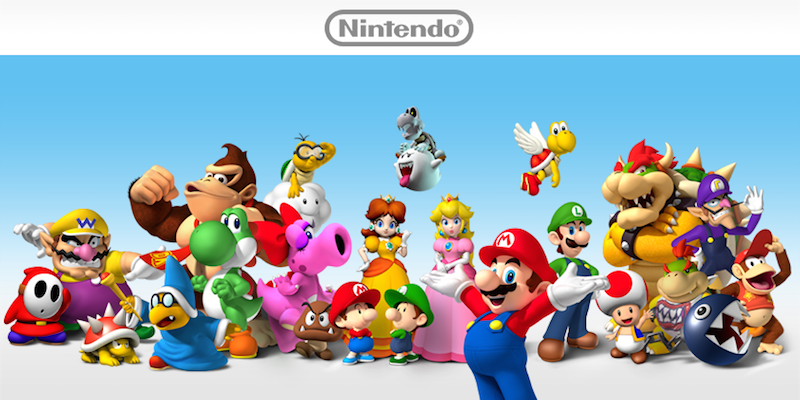 In 2014, for example, one shareholder asked why Nintendo keeps talking about gaming. “I do not understand video games,” he lamented. In 2013 someone complained about the cafeteria. It’s become an annual tradition for shareholders to barrage Nintendo executives with the most preposterous questions they can conjure up. This year’s business report was given as a recorded narration. Past presidents have presented it in their own words, which was more impressive. How much can we trust the current President to carry this company called Nintendo? I would have been more pleased if the President himself had presented the report. In the selection of five directors (Proposal No. 3), the names of the candidates are listed, but it was disappointing to see candidate numbers indicated in front of their names. Since they all have individual names, I do not think the numbers were necessary. That last question is of course referring to a proposal for the elections and reelections of five Nintendo directors, which you can see here. Each candidate on the list is given a number—Candidate No. 1, Candidate No.2, and so on. Clearly that was upsetting for this Nintendo shareholder. In presenting this year’s business report, we decided to use a recorded narration, and that is indeed a change from last year. We gave this much thought. The concern was that my speech may not be clear enough to be easily understood. So I ask for your understanding that this different approach was part of the new things that we are trying out. I do appreciate your valuable input about the importance of presenting the business report in my own words. We will definitely give thought to what we should do in the future. We will also take into consideration your opinion on the candidate numbers posted on the proposal item on director selection. I have a request regarding the general meeting of shareholders. Your shareholders can be broadly divided into investors and Nintendo fans, and the questions at the general shareholders’ meeting follow suit, with questions about financial reports and Nintendo’s organization on the one hand, and questions about games on the other. Don’t you think it would be better to divide up the Q&A session and use the first part for questions about financial reports, Nintendo’s organization and share prices etc., and the second part for questions about games? I am a Nintendo fan, and I would rather ask questions about games, so as an alternative idea you could end the meeting after the first part, but then go into extra innings in a corner where game fans could get together and ask questions. I appreciate your love of our games and take it you want the general meeting of shareholders to be a place where more information about our games is provided. As I said at the meeting before last, the general meeting of shareholders should be a place where shareholders and board members can communicate on a range of topics. This is very important for the company’s future advancement and to respond to the requests of shareholders. Since there are shareholders at these meetings who have questions about corporate management from the perspective of investors, it is a significant opportunity to present that information to them (as well as to shareholders who are game fans). I get that you want us to provide more information about Nintendo products. I can’t say right now what we’ll do, but we will investigate ways of creating more opportunities to supply that information. Nintendo shareholder Q&As are the best.